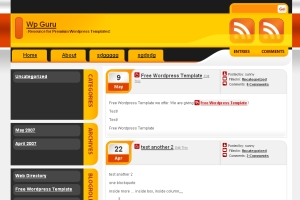 Description: GrayYel is a 2 column wordpress theme with Gray and Yellow combination for that perfect web 2.0 stylish look. Gray and Yellow combination, mouse hover effects on the rss links, sidebar links, header pages make this theme very appealing. It also include category psd to make more caregories in the sidebar.